Think you’ve never heard of him? 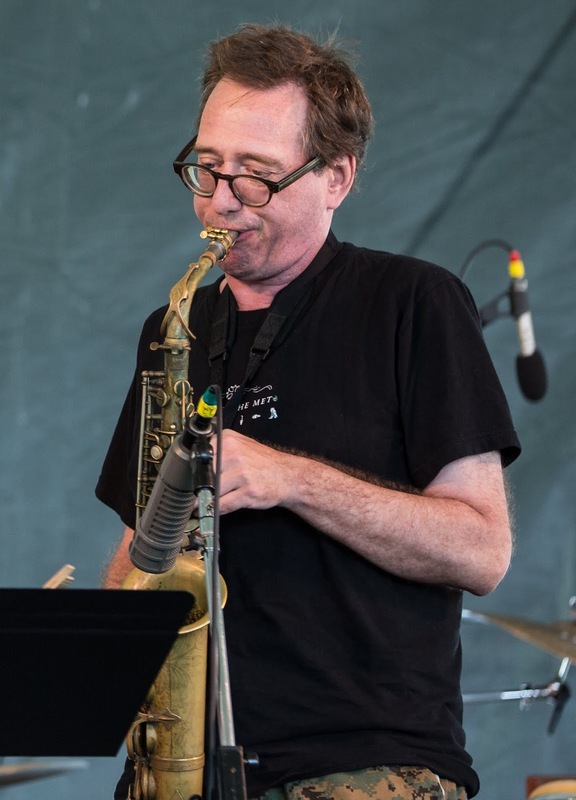 John Zorn has racked up hundreds of album credits as a performer, composer and producer in a broad range of music genres, from classical, to rock, through jazz and even surf music and metal! He’s also been lauded by Down Beat as “one of our most important composers.” Zorn arranges, composes and produces records, in addition to playing sax, pipe organ, drums, double bass, keyboards and a little clarinet, too. He even established his own record label, Tzadik, in the 90s. Tzadik has allowed Zorn to promote new musicians outside of the mainstream, as well as a prolific catalog of his own recordings. He tours all over the world, often performing at festivals, and continues to compose for concerts, opera and film. Guitarist, singer and songwriter Tommy Shaw got his start playing with local bands in his native Montgomery, Alabama. When vocalist/guitarist John Curulewski abruptly left Styx right before a nationwide tour, Shaw was called in to audition. Once they listened to his demo tape and heard Shaw could sing the high harmony for “Lady,” he was hired. “The guitar never came out of the case,” he recalls. Shaw wrote and sung on six of the band’s eight singles written before 1979. He wrote “Renegade” and “Blue Collar Man” as well as singing “Sing for the Day.” Shaw also wrote “Mademoiselle,” “Shooz” and “Fooling Yourself (The Angry Young Man).” But it was his promotion of “Come Sail Away” (written and sung by Dennis DeYoung) that got the band noticed nationally. Eventually, the band broke up and Shaw recorded as a solo artist, opening shows for The Kinks and Rush. But eventually Styx reunited and Shaw joined in on and off as he also performed with his band Damn Yankees. Shaw is married to his third wife, Jeanne Mason, and is a strict vegetarian. 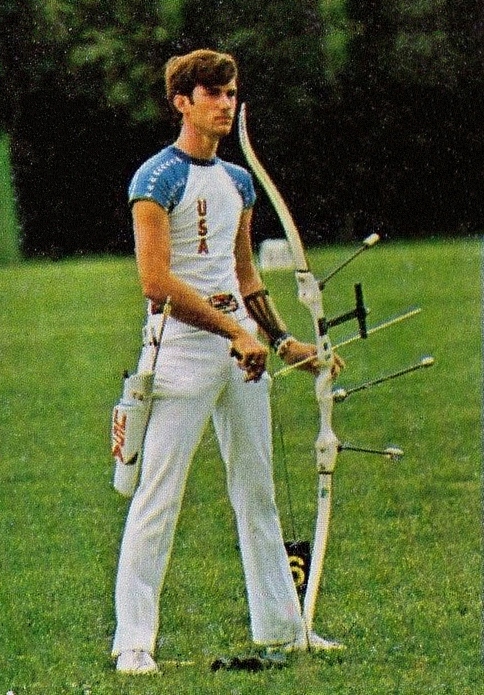 John Williams is the only person, ever, to hold all three archery world titles at the same time! 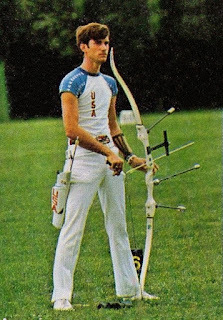 No wonder he pulled the bow for the first Olympic archery medal for the U.S. in 52 years. How did he get his start? Naturally, he was part of the famed “Shooting Williams Family.” I quote: “Like so many others from his generation, he spent time at the local archery range with his mom and dad.” Hmmm. I got an archery set as a kid and promptly sailed one over the fence where our neighbor was relaxing on a lounge chair. Ended my career right there. But Williams began shooting in the men’s division when he was 14 and just killed it. In 1984, he was named an Olympic coach, and ran with the torch in 1996. He also worked as a product manager for Yamaha Corporation’s archery division. When you win the U.S. Open as a rookie like Jerry Pate did in 1976, it’s hard to go much higher. He had enjoyed a great amateur career, and played on winning U.S, teams for the 1975 Eisenhower Trophy and the Walker Cup. 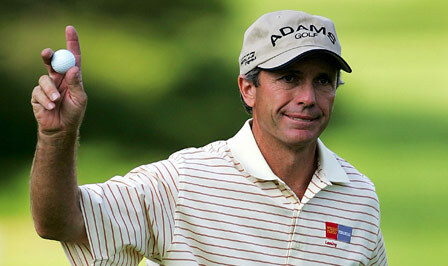 He managed to tie teammate Jay Haas for low amateur at the U.S. Open that year, just before turning pro. After his Open win in 1976, he also edged out Jack Nicklaus to claim the Canadian Open title. His dominance in the sport led to his selection as Rookie of the Year and Co-Player of the Year. But it’s always hard to stay at the top. Six more tour victories came between 1977 and 1982, including several titles around the world. His last big victory was the Tournament Players Championship in 1982, which Pate celebrated by tossing course designer Pete Dye and the PGA tour chief into a lake next to the 18th green, before jumping in himself. Shoulder injuries curtailed Pate’s career. He became a broadcast analyst and went into business with a golf course design firm and turf and irrigation company. Not one to rest on his laurels, Pate returned to the University of Alabama for his bachelor’s in administrative science, graduating alongside his daughter, Jenni. Benny Brown is remembered for running the second leg in the 4x400 Men’s Relay at the 1976 Olympics, when the team won gold. Brown won the 1975 NCAA Men’s Outdoor Track and Field Championship at 440 yards for UCLA, then placed fourth in the U.S. Olympic Trials to qualify for the team. Brown was an active participant in the U. S. Corporate Games and a part-time coach for Cal State Fullerton’s track team while working for Hughes Aircraft Company. Brown was killed in a car accident at the age of 42. "He was one of the greatest quarter-milers that ever lived," said Jim Bush, Brown's former UCLA coach. "He got very mad at me once," Bush said. "I put a slower runner in the mile relay and Benny got the baton when he was 50 yards behind the leader. He caught him and won the race. He told me after, 'Don't you ever do that again.' I told him he ran the fastest time he ever ran the 440 [yards]. Everyone just laughed. This is a great and sad loss."